If you have credit problems, you can get the financing you need for the vehicle you want….and help yourself re-establish your credit while driving your new used vehicle! Don’t be taken advantage of because of your credit history. 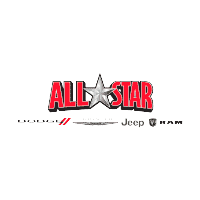 All Star Dodge Chrysler Jeep Ram can arrange all of your financings and take the hassles out of your next car buying experience. Financing at All Star Dodge Chrysler Jeep Ram is both easy and guaranteed. Our experienced staff can give you the best rates on buys and leases with our relationships with many area lenders. By understanding your personal situation and your vehicle desires, we can tailor a custom financing plan for you. Click here to fill out a secure credit application. How does the Guaranteed Financing Program work? We have lenders that work with individuals with a variety of credit issues. Depending on the extent of your credit issues, you may be required to have a cash down payment up front. The amount that you are allowed to borrow will depend on your credit application. To determine your qualifications, simply fill out a credit application and we will get back to you within minutes! The terms of the loan allowed for the annual percentage rate will vary depending on your credit history. Does buying a pre-owned vehicle really help me reestablish my credit? Yes, when checking with the credit bureau, many lending institutions look at automobile loans closer than any other type of loan (other than home loans) to verify your credit standing. Buying a car from a “buy here, pay here” lot that does not report to the credit reporting agency is simply not a good option because it does not help your credit record at all. What are the benefits of using All Star Dodge Chrysler Jeep Ram over going to a different dealership? All Star Dodge Chrysler Jeep Ram has lending sources available that no other dealers have. If you have been to another dealer and your visit was less than perfect, you will now find with All Star Dodge Chrysler Jeep Ram that you will get the help and answers you need. Our sources are nationwide lenders that report to credit agencies, helping you boost your credit score!